Andrea for Victoria 3 is a very young and soft looking character with beautiful body and facial features, subtle but penetrating eyes and a skin color that is very attractive and renders perfectly on any light. She comes with a variety of options including 4 (four) incredible sets of second skin mats with beautiful lace texture and design trim. Andrea is a must on your Runtime folder. 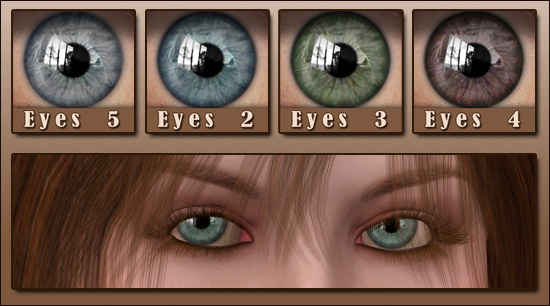 Default head and body texture, default eye color and default body and face morphs shown. Details of the back side, mouth and nose, hand and breast and pubic area shown. Four beautiful lace sets of second skin mats accompany this package. Each set comes with it's own pose file for easy application.